Deep River is host to many wonderful community events throughout the year. In the spring we have our Annual Fishing Derby, Easter Egg Hunt and Memorial Day Parade. 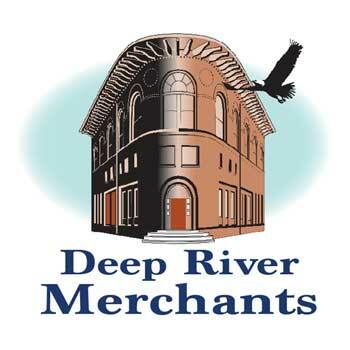 In the summer we have outdoor concerts and movies in the park and our historic Deep River Muster, attracting musicians and visitors from all over the country. We end the year with great events such as Family Day and the Fife and Drum Run, our Halloween Parade, Trunk or Treat and Scarecrow Contest, November’s Jams for Cans, and finally our Holiday Stroll and Light Parade in December. All of our town events are very popular and designed to be fun for the entire family. Check our news & events page often for continuous updates about town happenings as well as specials and promotions from our local businesses. Celebrating our community and the businesses that help us flourish! Saturday, September 21, 2019 … All day ending with a fantastic display of FIREWORKS at Plattwood Park. Lots of details to come … Stay tuned! Friday, November 9, 2018, at 6:30 pm. Whether you’ve missed the performances before or haven’t and already know how wonderful they are, mark your calendar and be a part of the music! Hosted by Bennett’s Books, 171 Main Street, Deep River, CT Another Awesome Acoustic Autumn Evening at Bennett’s Books!